The end is in sight. We’re mere weeks away from the reveal of the A90 Toyota Supra, which means all the teasers, the leaks, the racing cars, and the wrapping paper (yes really) - it all stops. And then we cross our fingers that the car lives up to the tremendous hype. 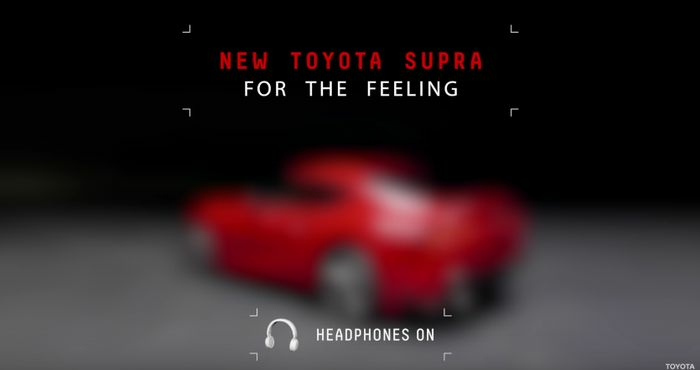 Because the Supra’s Detroit debut is so close, we’ll forgive one more teasing video. Particularly as it focuses on something we’re all keen to know about - exhaust noise. We did get a sense of this from some of the prototype drive videos doing the rounds a few months ago, but this gives us a much better idea. It sounds about as good as you could reasonably expect a modern turbocharged straight-six to. In other words, not exactly spectacular, but a rather pleasant din nonetheless. We’re sure the aftermarket will step in to come up with some solutions for those wanting a little more rudeness. Just in case you need reminding, the sound is coming from BMW’s B58 inline-six as part of Toyota’s joint venture with the German brand, which has also resulted in the Supra sharing a platform and other bits and pieces with the new Z4.